Let me begin this with my own experience which I hope many of the aspirants in college would be able to connect with. Before entering the college only, I had taken one of the biggest decision of life to go for Civil Services Exam Preparation usually referred to as IAS Exam preparation. But as all of us soon realize that just having decided to prepare is not enough. The next big hurdle arises in form of the timing of the preparation. When and how to start the preparation is something still thousands of aspirants are struggling with. And despite having all the good intention and the determination to put tremendous hard work they are not able to see their dreams fulfilled because of the lack of clarity with the path of the preparation. I have seen aspirants caught in the mess of managing college with the preparation. I must say this is not an easy task to accomplish. But neither is this impossible. 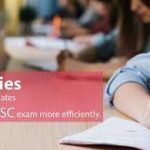 Having personally made it successfully through this arduous journey along with seeing the failures of friends around, I would like to take this opportunity to throw some light on the art – how to prepare for IAS exam while in college. These are some guidelines, which I will indeed not claim as the guarantee of success. But I can assure you that following these and developing your own unique strategy around these sound pillars will enable and strengthen you build your own gigantic edifice of success in this challenging, amazing and life-changing journey of IAS preparation. So here we go. The most important step towards the destination is the first step taken. With the right step on the righteous path, success eventually follows. Aspirants in colleges generally struggle with the exploration of the ideal time to start the preparation, whether in the first year, second year so on and so forth. But let me tell you, there is no ideal time or so-called perfect time to begin the preparation. It all depends on the individuals and their aptitude to go through this rigour. one should not start full-fledged preparation in the first year of college or even second year for that matter if enrolled fother 4-year course. I feel the third year is the right time to set the ball rolling. Because by now, you have also gained a good grip on your graduation subject which must not be ignored entirely. This will help you not just in choosing an optional subject, interview but throughout your life. So please don’t waste your college life overburdening it with UPSC preparation. Doing well in college will indeed help you do well in UPSC as well. I always believe and say this to aspirants with a sense of strong conviction that irrespective of which service and cadre you got in the end, preparing for the IAS exam is a very enriching and satisfying journey. So you must start the preparation with the right mindset and approach. I believe that the best way to start the preparation is through Newspapers. I am against full-fledged preparation in the first year of college, but I strongly suggest aspirants to read any one newspaper from the first year or as early as possible once you have decided to go for this exam. The newspaper would give a feel of things happening in the country in all spheres such as the economy, polity, society, environment, sports, disaster management, security issues and so on and so forth. It is important to be aware of the happenings around. This will just gear you up for the next phase of preparation when the time comes. One of the traps I have seen people falling into in college days is to collect as many materials as possible with various subjects and thus start crumbling under the pile of books and notes. Make it very clear that this exam is not about quantity of materials but quality. It’s generally more yielding to read one source n times than reading n sources single time. Having said that, please keep in mind that don’t fall for every newspaper, magazines and books that is seen in markets, especially in the lanes of Karol Bagh and Mukherjee Nagar in Delhi. You must stick to limited sources to keep the burden as minimal as possible. One realizes the essence of this as the exam approaches and revision becomes the most important thing required to do well. There is no straight yes or no to this mysterious and puzzling issue every aspirant faces while in college. Since finding time for coaching classes apart from college classes is also an issue one should deal with. I must say, coaching is not indispensable for success in this exam. I have seen both types of aspirants in plenty. 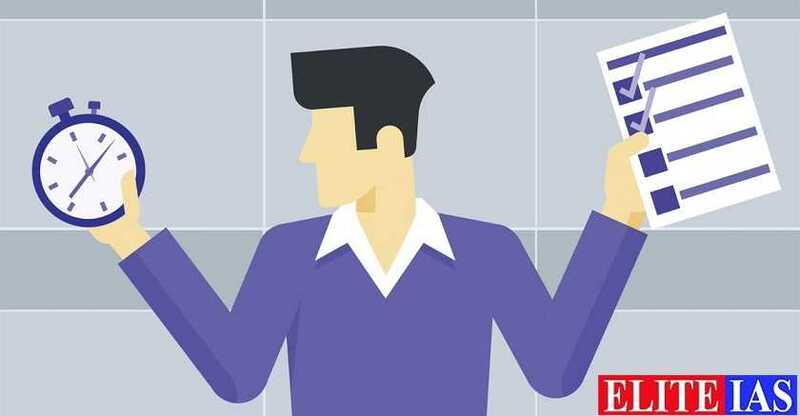 If one is aware of the exam, it’s patterns, UPSC syllabus, preparation strategy and all related stuff with the proper guideline, then coaching may not be required. But most of us don’t fall in this category where we know the right path to success. And it’s very easy to deviate from the track in this difficult journey given the diversity and complexity of IAS Exam Syllabus. Here comes the role of coaching to give one a directed guidance so as to keep on the right track. Here, one gets a feel of the exam in a competitive environment. It’s important to know what not to read and how to read for excelling in the exam. One must learn the art of answer writing to score high in mains. Coaching makes the task a bit easier in all these aspects and gives an edge over others. But it’s a personal decision, and the individual is the best person to judge whether do they really require to join any coaching. Read More: Would you like to prepare for IAS while still in college? It would not be an exaggeration to state the fact that one quality that is common with all successful people is that they know how to make the best use of time. People keep on complaining that they are running short of time so could not finish the task, but everyone has just 24 hours in the day, it all depends how one strikes a fine balance among their priorities in life. Those who wish to prepare for UPSC Exam must learn this art of time management, especially if preparing while in college. I used to attend college in the morning, thereafter had to rush for coaching classes one after another from afternoon till late evening. Night time was for self-study. I must say, at times it becomes too hectic to follow the same routine everyday but it is worth it. One should finalize a schedule devoting an appropriate amount of time for all aspects of preparation such as General studies, Optional subject, answer writing etc. and religiously follow that to their best. Being disciplined is key to success in life and time management comes down to how efficient and disciplined one is in life. 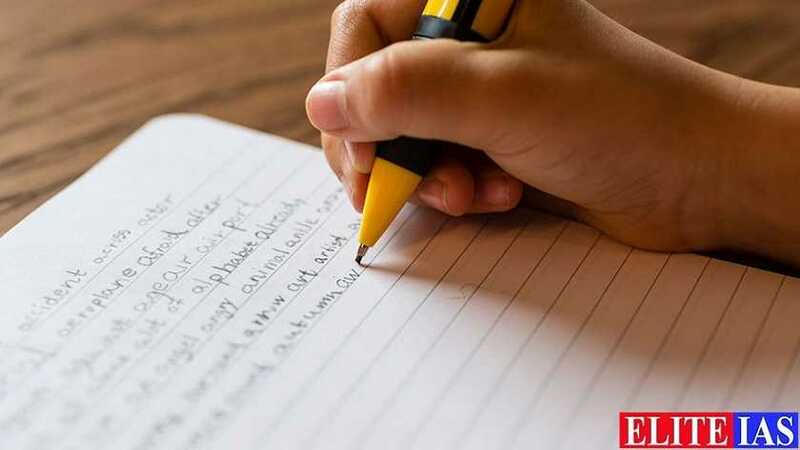 Having qualified three out of three mains with ease, only one suggestion if I must give to aspirants to succeed in this exam then it would be “write, write and write, sharpen your writing skills”. We all are aware that prelims is about picking the right option but mains is all about answer writing. Mains is about how well you can express yourself and articulate your viewpoints. It tests the ability to answer specifically to what is asked without digressing from the theme. One has to understand the theme of the question and reply to that. It needs a vast amount of practice and hard work. Can you complete 20 questions and 4000-5000 words in just three hours? It requires speedy writing. While in college, people tend to ignore the importance of answer writing in preparation. Later they face the music. It’s better to be prepared in advance so as to bleed less in the battle. Start writing whatever it could be, an answer, an essay, short stories, a piece of creativity. My point is that you must keep improving and sharpening your writing skills. That really matters more than anything else in this exam. While in college, finalizing optional subject is one of the most important steps in taking the preparation ahead. And it is not an easy decision to take for the very success in this exam depends heavily on just one decision. It is advisable to devote plenty of time to choose the subject rather in a haste. I have seen people choosing all sorts of subject, some logical some weird choices. Having done B.Tech from IIT Delhi in chemical engineering, I opted for Sociology and it turned out to be one of the best decision taken in life. This sailed me through in this arduous journey. What motivated me to choose the subject was my newly developed interest in the subject and desire to know about Indian society and its different aspects. Thus, you should try to figure it out which subject fascinates you whether this is philosophy, mathematics, chemistry, political science, or anything else. Interest should be the primary factor, the second must be familiarity with the subject. Having done graduation in mechanical engineering and if one feels confident about doing well in this subject, then I see no reason for opting any other subject. So, I usually feel that one should try to do well in college in their stream, so that they can pick it as a subject which makes things a bit easier since the platform is already laid down. Otherwise, also, there are enough options for the optional subject. The world is going digital and India is neither untouched by the revolution in digital technology. One significant impact has been seen in the spread of digital education. Now physical barriers are surpassed, as one can have access to the best of the content at a click sitting right at their home. Try making the best use of this opportunity. While in college, mobility is restricted to an extent. So, one may join the online IAS coaching courses for general studies or Optional subject as the need may be. It also provides the aspirant’s flexibility in their study. You can schedule your timing as per convenience. It also saves time, resources and optimizes efficiency enabling aspirants to do their best possible. One may follow important websites such as www.prsindia.org, www.india.gov.in, www.prsindia.org, Rajya Sabha TV etc. for debates on issues of national importance. Social media nowadays is like a double edge sword so uses it cautiously and judiciously. Frame your opinions on any issue wisely after due deliberation and exploration of various facets of the issue. The digital platform can give the much-needed push to the preparation if used diligently. 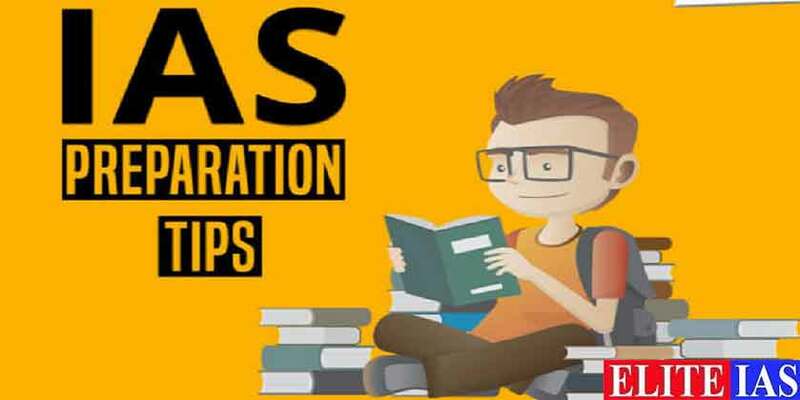 Read More: How to start for IAS preparation online? I am strong of the opinion that life must not be restricted to an exam preparation. One must live life to the fullest. Especially college life is a once in a lifetime opportunity, it never comes back. So, one should also taste the fun of college life, hang out with friends, go and explore some different places, watch movies, play some sports, and engage in other extracurricular activities as the interest may be. My point is that you should try developing a complete personality which will help you score well in an interview once u reach there. People tend to ignore this at the earliest stage of preparation but personality cannot be groomed or changed overnight. It takes time. College is the best time to shape your personality by doing different things such as participating in debates, making new friends, traveling, playing sports, reading books so on and so forth. You should not sacrifice college life for just the preparation, find out time to do things which you find passionate about. Develop some new hobbies which will sail you through tough times in life. Look out for a holistic life. I would reiterate the fact that, IAS exam preparation should be a part of your life but it must not become life per se. I am sure you get the essence of it. IAS Exam Preparation while in a college is a bit tricky as well. You must plan well to make the best use of time and resources. One must be patient as well. Things may not go in the beginning as planned. You may score badly in tests. Don’t take it too seriously. Just be sincere with your UPSC Exam preparation. Just do whatever you can and are capable of. Never give up when time tests you. You shall overcome these moments emerging stronger than before in the process. Civil Services Exam preparation is a life-changing journey; you must enjoy the travel rather being excessively concerned about the destination. Perseverance is something one has to learn and appreciate as one goes ahead. You will start developing officer like qualities with a positive attitude to IAS preparation. Be open to learning and criticism for that will help you keep improving and getting better each day. You will realize that if you give your best without being concerned about the rest, things will start falling in place. There are a thousand ways of getting selected for this exam, try developing your unique strategy without wholeheartedly copying someone else. Believe in karma, results will follow. I wish you the best in this amazingly wonderful journey. May you discover yourself in this journey and reach the pinnacle of success in your life.